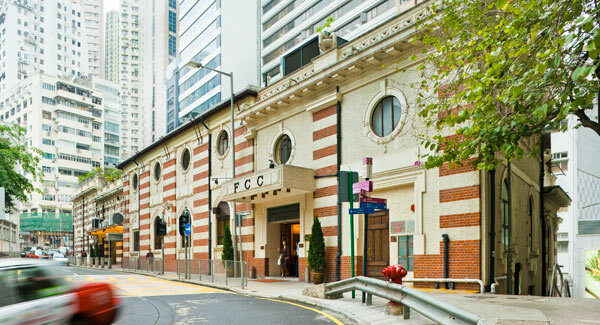 The Foreign Correspondents’ Club, Hong Kong is probably the most famous press club in the world. We have a long and rich journalistic heritage dating back to our founding in China in 1943. Over the ensuing decades, our members have been eye witnesses to history across Asia, bringing the stories to the world in words and pictures. They have reported on everything from the Vietnam War to China’s economic rise and the 2014 Hong Kong pro-democracy protests. The FCC’s home is a beautiful and historic Central building, a cherished location in which the Club provides a wealth of first-class yet cost-effective dining, drinking and entertainment options, not to mention a gym and a busy workroom equipped with phones and computers. As an important media hub, the Club provides a neutral platform for an impressive selection of local and international speakers from the worlds of politics, business, sports and entertainment. The FCC also offers a variety of superb meeting venues that are popular with members who frequently use them to host media events, business gatherings and weddings… but mostly for drinks or dinner with friends and guests. The Club’s core mission is to promote and facilitate journalism of the highest standard, and to promote press freedom across the region. For 20 years, we have jointly sponsored and organised the Human Rights Press Awards, recognising journalists in Hong Kong and around Asia for fearless and impactful reporting. And our photo exhibitions showcase the very best in photojournalism, most of it undertaken by our talented members. We’re also committed to playing a role in the local community and have a proud tradition of charitable works. Membership today is open to all. Business people, diplomats, lawyers, officials and media professionals are among the diverse mix that come to the Club to meet, eat, talk and relax. They all help create the vibrant culture that has made the FCC a storied institution throughout the world.